Second-placed Ryan Mears trailed by four points going into the eighth and last leg at Greenbaize Snooker Club, Bournemouth. The title contenders were on a collision course to meet in a winner-takes-all final of the event sponsored by Snooker Hub but Lloyd was crowned champion when both made last-four exits. 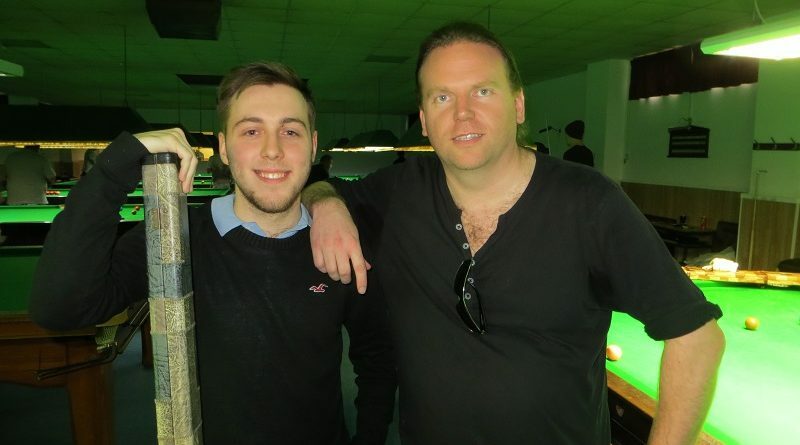 Mears was beaten 2-0 by Richard who plays alongside Lloyd for Waterlooville Allstars, the Division 2 front-runners in the Portsmouth District Billiards & Snooker Association. Lloyd, who lost 2-0 to tournament winner Sean Harvey, has finished runner-up twice and made three semi-final and three quarter-final exits this season. The former national junior champion said: “I played consistently throughout the season. It’s just a shame I was never on my A game. Lloyd insisted he wasn’t looking over his shoulder as the day’s drama unfolded. “I came here to concentrate on my own game and let results take care of themselves,” he said. The Cuestars Championship for the top-32 ranked players, which carries a guaranteed £500 first prize for the winner, is at Waterlooville Sports Bar on Sunday, May 12. For the latest news from the amateur game, visit www.snookerhub.co.uk.